Edwin “Ed” L. Williams, Sr., 72, of Lancaster, passed away unexpectedly on Monday, December 27, 2010 in the ER of the Heart of Lancaster Regional Medical Center, Lititz. He was the beloved husband of Sharon R. Williams. Ed retired from Philadelphia Electric Company (PECO) after many years of service. He currently had worked at the Manheim Auto Auction. Born March 6, 1938, in West Chester, PA, he was the son of the late Wilfred and Helen Williams. A Veteran, Ed proudly served four years with the U.S. Navy. Ed was a member of the Millersville/Manor VFW-Post 7294. He was an avid golfer, boater, beach lover and car enthusiast. He took great pride in his cars. Poppy enjoyed spending time with his granddaughters, Sarah and Mary. They were the light of his life and Ed lived his life to the fullest. In addition to his beloved wife, he is survived by three sons, Edwin L. Jr. and John K. Williams, both of West Chester and Richard J. (Cindy) Williams, of Downingtown; 5 grandchildren; two sisters, Margaret and Judy as well as numerous nieces, nephews, extended family and caring friends. He was preceded in death by two brothers, Wilfred and David Williams. Ed was a regular at the post, and will be sorely missed. Cpl. Eric Torbert, 25, a 2003 graduate of Penn Manor High School, is the fallen Marine. Circumstances of his death were not immediately available. Torbert’s parents, Denise and Eric, live in Millersville. He has a brother and sister, Lynn and Dennis. Torbert was married in June to Marcelle Torbert. The couple lived in California, where he was stationed. Torbert’s body was scheduled to be returned this evening to the Dover Air Force Base in Delaware, according to a press release from the base. Read the entire article here. Our thoughts and prayers are with the family and friends of Cpl Torbert. Help Xerox Thank Our Troops! Sally Greth sent this in – it’s a great way to support our troops and will only take a minute! If you go to this web site, www.LetsSayThanks.com you can pick out a thank you card and Xerox will print it and it will be sent to a soldier that is currently serving in Iraq/Afghanistan. You can’t pick out who gets it, but it will go to a member of the armed services. Please take the time to pass it on for others. We can never say ‘thank you’ enough. Our soldiers need to know we are behind them. Wouldn’t it be wonderful if the soldiers received a bunch of these? 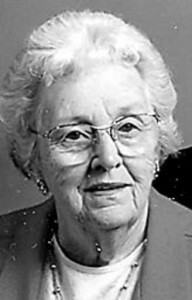 Margaret G. (Peg) Shopf, 90, of Miami, FL, formerly of N. Prince St., Millersville, passed away peacefully at Jackson North Hospital, Miami, FL, on Wednesday, December 1, 2010. Born on July 16, 1920 in Lancaster to the late Edward M. and Florence Schmidt Garnet, she was married for 50 years to Willis L. Shopf, who preceded her in death January 3, 2002. Peg graduated from Strasburg High School, class of 1940. A homemaker most of her life, she worked from 1968 to 1980 at the Millersville University Bookstore. She was a lifetime member of Millersville VFW Post 7294 Women’s Auxiliary. Survived by two sons, Scott of Hollywood, FL & Ward, husband of Diane (Denlinger), of Gloveland, FL; daughters, Sheila, wife of Gregory Arnold, of Landisville, Fay, wife of Jarry Miller, of Millersville; eight grandchildren; three great-grandsons; and niece, Louise, wife of Dave Williamson, of Heathrow, FL. Last of her immediate family, Peg was preceded in death by sister, Jane Hartye, and brother, Edward Garnet, Sr.
Funeral Services and Interment in Florida will be at the convenience of the family. The family is also planning a Celebration of Peg’s Life to be held in Pennsylvania. For further details, contact scottshopf@aol.com. Arrangements by Boyd-Panciera Family Funeral Care, 1600 N. University Dr., Pembroke Pines, FL 33024, 954-983-6400. Peg was a life member of our Ladies Auxiliary, and our thoughts & prayers go out to her family.